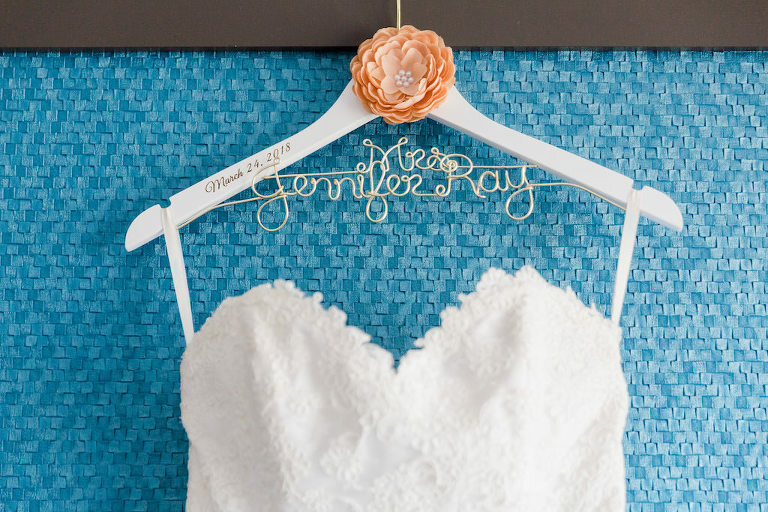 Jennifer and Connor’s downtown St. Pete wedding featured a classic array of ivory, taupe and blush. The Tampa couple knew that St. Pete would be the perfect place for their out-of-town guests, and it was sentimental to the family. Knowing that wedding planning can be overwhelming at times, the bride turned to Marry Me Tampa Bay for direction with finding a venue and other vendors. “When we were first planning, Marry Me Tampa Bay helped provide inspiration and guidance. I watched live videos of vendor tours and attended a Marry Me Tampa Bay fashion show,” the bride shared. When searching for a reception venue, Jennifer and Connor were open minded to find that perfect fit. 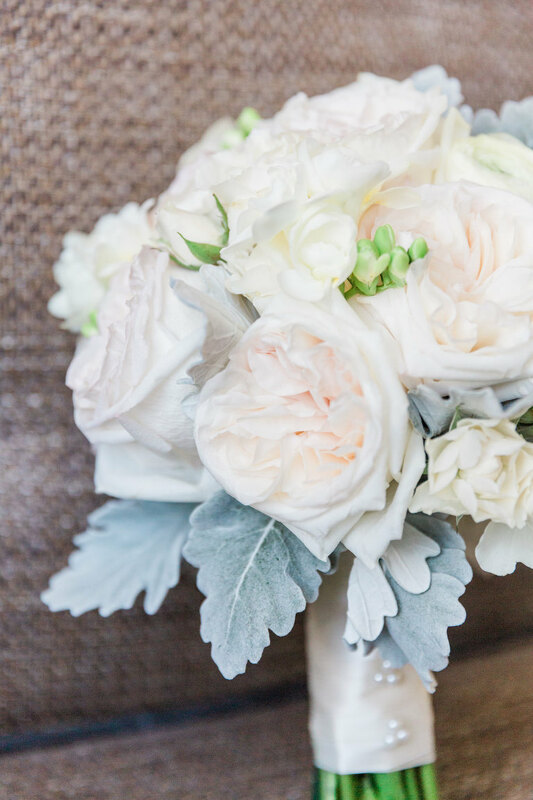 The couple were unsure of the style or quantity of flowers they needed, so they turned to St. Pete wedding florist Cotton & Magnolia. Looking back on their wedding day, the bride and groom shared their most memorable moments with us. “I loved the ceremony, walking down the aisle with my dad, and seeing Connor for the first time. Everyone was so emotional, lots of happy tears! I also loved my first look with my dad. 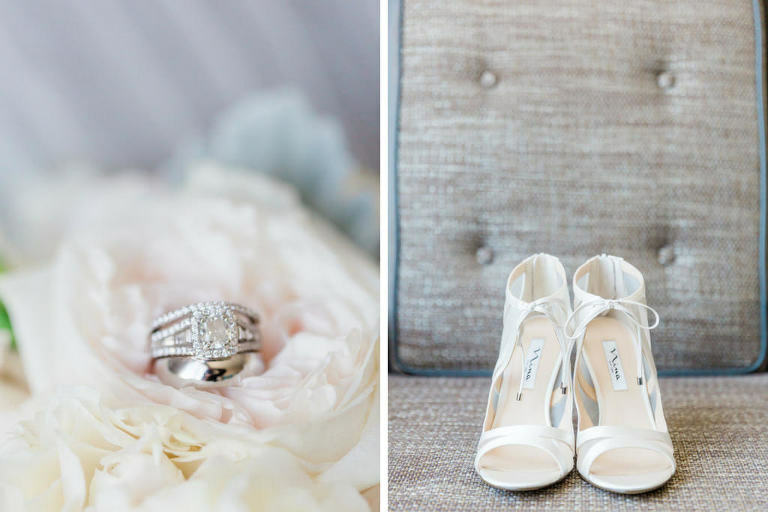 It was a very special moment and our photographer captured the moment beautifully,” the bride gushed. “Obviously saying ‘I do’ was the biggest moment for me! But walking into the reception at The Birchwood with Jenny to a room filled with our friends and family was an amazing scene I will never forget,” Connor reminisced. Connor and I were on our way to a family reunion and added a quick weekend trip to Savannah, Georgia. He surprised me with a lovely dinner on the Riverwalk and a horse drawn carriage ride around the different squares of the city. I had the feeling it was going to happen, but didn’t want to jump to conclusions. So, I waited. We stopped at Colombia Square, where we decided to get off and walk around and take a few pictures. This is where the big moment happened! I turned around and there he was on one knee! Our wedding was very traditional. We wanted something that looked timeless and elegant, so we chose colors, flowers, and decorations that were soft and complemented our venues. Ivory, taupe, and blush. We wanted colors that would complement our venues. Both the church and our reception venue, The Birchwood, were so beautiful on their own. We were pretty open minded when looking for our venues. We just wanted a place that felt “right” to us; somewhere we could picture our big day. The Birchwood was one of the first venues we toured. Our first impression was extremely positive. We immediately loved the atmosphere, look, and location! It definitely met our requirements of timeless and elegance. We realized that we could utilize multiple floors, including their wrap-around porch, cocktail areas, and rooftop bar. We also knew the food would be amazing because of their restaurant; we learned just how delicious at our tasting! It was nice knowing that all of our food would be taken care of by Birchwood staff. All of the employees went above and beyond when planning our wedding. Mary, Leja, Heather, and Rebecka were so amazing. They made sure that every detail of our wedding was perfect. We didn’t know much about flowers going into the planning process. We had no idea how many or what kind of flowers we needed! We wanted an honest and experienced florist that could help point us in the right direction. We also wanted someone who could make beautiful arrangements! We loved working with Elaina, the owner of Cotton & Magnolia. She was so personable and patient with us. She walked us through so many options and was more than happy to give her opinions or explain her reasoning behind her suggestions. She was always available and very accommodating. In fact, we loved working with Elaina so much that we asked to be our day of coordinator. Our flowers were absolutely beautiful, the decorations at the church and The Birchwood reception hall looked great, and Elaina made sure our whole day ran smoothly. We received so many compliments about the decorations and flowers. 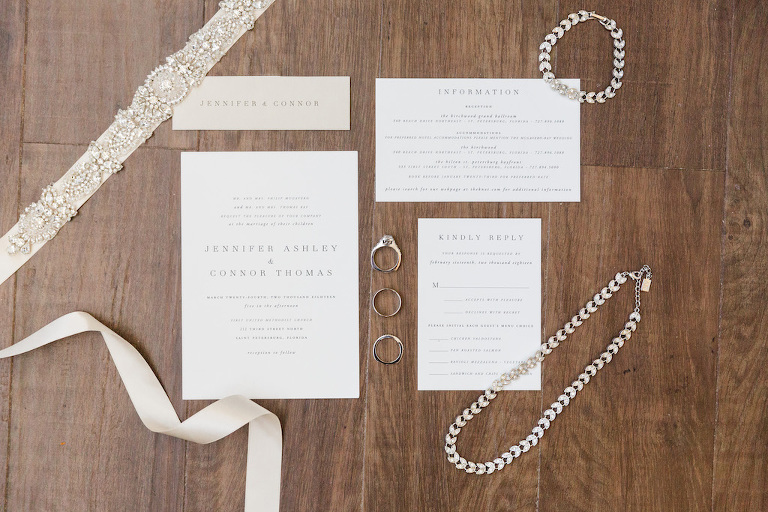 I am very organized and meticulous, so I loved being involved in all of the wedding planning. It was tough though! Making all of those decisions got overwhelming at times, but luckily Connor is much more of a decision maker. We were both very involved in the planning and communicated throughout the process. Connor loves music, and we had a lot of meaningful selections that we incorporated into the ceremony and wedding reception. Each of one the songs we chose brought back specific memories we had throughout our relationship. Enjoy the process! Always communicate. Whenever Connor and I felt overwhelmed, we tried to take a breath and just picture the big day!